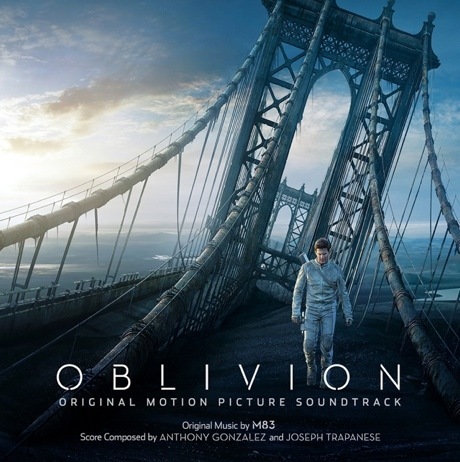 Last month, M83's Anthony Gonzalez let us in on a bit of his upcoming Oblivion score by unveiling the title track, but you can now stream the entirety of the soundtrack ahead of its April 9 street date via Back Lot Music. As can be expected, the score to the Tom Cruise vehicle plays with suitably cinematic sounds, from the atmospheric string swells and minimalist piano clacks on opening track "Jack's Dream," to the heart-pumping, percussive flourishes and majestic brass boom on the otherwise electro-tinged "Earth 2077," to the supremely tear-stirring synth-pop closer "Oblivion," featuring the soaring vocals of Susanne Sundfør. You can explore the rest of the set down below courtesy of Mashable.